Headquartered in beautiful San Diego, California, ContractorBondQuote.com delivers contractors with a multitude of options for your insurance and bonding needs. 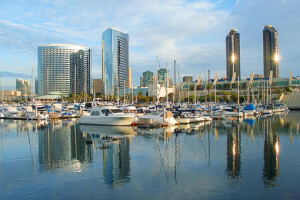 As the city of San Diego continues to grow, the real estate market continues to gain momentum. As a result, local contractors have seen a steady increase in gross sales. By having the proper contractor insurance and surety bond in place, contractors are able to quickly move forward with the bidding process while others contractors may struggle to qualify. ContractorBondQuote.com is your San Diego contractor insurance specialist and we are committed to the success of our contractors. Do you have a question regarding an upcoming project you are interested in pursuing? Forward us a copy of the insurance requirements for a complimentary review. We will be able to advise you as to the most cost effective and secure coverage available. As insurance brokers we read insurance contracts every day, leave these details to us so you can get back on the job and do what you do best! We have been serving the insurance needs of local San Diego Contractors over the past 10 years. Our commitment to the finest level of customer service has allowed us to foster in depth relationships with the local construction industry. We are here to serve as your risk management partner and plan to grow with each of our clients as the construction industry continues to gain momentum. ContractorBondQuote.com is a full service San Diego contractor insurance brokerage with access to the most competitive insurance markets in the industry. Our specialties include General Liability, Workers Compensation, Commercial Auto, and Surety Bonds. Give us a call if would like a free review of your upcoming contractor insurance renewal at: 1-800-409-7944.